What were some of El Morya's past lives? What did El Morya do after he ascended? What is the meaning of hierarchy? What is the purpose of the Darjeeling Council? What are the first steps to better government for all? Mrs. Prophet, we've barely touched on the subject of El Morya. Can you tell us a bit more about him? El Morya begins at the beginning on the first ray. He teaches that without dedication to the will of God, you cannot be disciplined on any of the other rays. So Morya takes on those individuals who have perhaps rebelled against their inner calling and are not really following the master of their ray because they have not yet come to grips with their own relationship to the will of God. The most important lesson that I have learned from El Morya is that the will of God is within us. It is our inner blueprint; it is the design of the soul. To rebel against the will of God is to rebel against the Self, the True Self. Jesus teaches us that a house divided against itself cannot stand. And so to begin the path of true chelaship we have to resolve this schism within the self. We have to realize that the will of God is good and it will not take from us our true identity, but it is the adornment of that reality. Elizabeth Clare Prophet, could you tell us about the embodiments of El Morya? El Morya was Abraham, Hebrew patriarch and progenitor of the twelve tribes of Israel. He was Melchior, one of the three wise men who attended the birth of Jesus. In the sixth century he was embodied as King Arthur. Our hero of this age, if we ever had a hero, would be King Arthur. And if we were ever to go back in history, I think we would all like to be at Camelot. It is the jeweled-love quality of El Morya that makes us hark back to this great visionary king who founded the order of the Knights of the Round Table. His knights went in quest of the Holy Grail, from which Jesus drank at the Last Supper. Legend tells us this Holy Grail was brought from the Holy Land by Joseph of Arimathea and buried in a well at Glastonbury. The focal point was thus set for the dispensation of Camelot. In the twelfth century Morya was embodied as Thomas à Becket, Chancellor of England and Archbishop of Canterbury under Henry II. Give me, good Lord, a longing to be with Thee: not for the avoiding of the calamities of this wicked world, nor so much for the avoiding of the pains of Purgatory, nor the pains of Hell neither, nor so much for the attaining of the joys of Heaven in respect of mine own commodity, as even for a very love of Thee. What were some of El Morya's later embodiments? 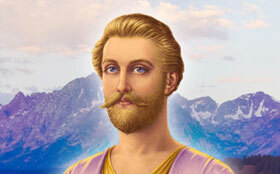 El Morya is probably one of the greatest saints of the Church in his devotion to Jesus Christ. Yet he was also embodied as Akbar the Great, who founded the Mogul Empire in India and was the greatest of all its rulers. His policies were considered to be among the most enlightened of his time. He was a superb organizer and administrator of conquered territories. He introduced many reforms, put an end to extortion, increased trade and showed tolerance toward the many religious faiths of India. In the embodiments of El Morya we see the soul of a great devotee of God weaving in and out of the paths of East and West. And we take special note that in each of his incarnations he is perfecting the diamond of the will of God within his soul—through God-government, through the vision of community that he wrote about in his Utopia as Thomas More, through his supreme devotion to the will of God in his incarnations as Thomas á Becket and Thomas More. Even attending the birth of Christ in his embodiment as Melchior was the fulfillment of his longing to serve that will. He was also known and loved as the Irish poet Thomas Moore. Among his many ballads, the best remembered is Believe Me, If All Those Endearing Young Charms. The tenderness of the works of Thomas Moore shows the heart of one devoted to the will of God, the intense love that must be the other side of the fiery devotion and authority of the first-ray man or woman. We find that those who have the greatest power of God as rulers also have in their souls the gift of poetry and the flow of love as the sweet balance to their immense power. El Morya's final embodiment was in India in the latter part of the nineteenth century. He was born a Rajput prince. Known as El Morya Khan, he worked closely with Kuthumi and Djwal Kul in attempting to acquaint the West with the reality of the invisible world and the teachings of the Law and hierarchy through the Theosophical movement. He was known as the Master M., while Kuthumi was known as the Master K. H., or Koot Hoomi. The Darjeeling Council is a unit of hierarchy. I am its chief. Numbered among those who deliberate in our chambers are Saint Germain, Mary the Mother, Jesus the Christ, the Master Kuthumi, Chananda, the Great Divine Director, Lord Maitreya and the Ascended Master Godfré. In this hierarchy there are ascended masters, those who have become one with God through the acceleration of consciousness that Jesus demonstrated. And then there are their disciples who yet remain in embodiment, people like you and me, who are called chelas. In Hindi, chela means “servant” or “disciple.” We, as the disciples of the masters, interact with the masters to work for the cause of light and freedom on earth. The Darjeeling Council chambers are located in the Temple of God's Will over Darjeeling, India. 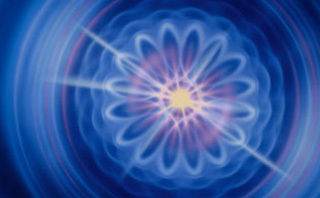 Chelas may journey there out of the body in the etheric sheath, or the etheric vehicle. While we sleep, our souls take leave and we do go to the retreats of the Brotherhood that are most fitted to our soul evolution. We may have recollections when we awaken in the morning of being among these great teachers, our elder brothers and sisters on the Path who are showing us the way. Those who see the crumbling of the old order look for the new. The path of chelaship [or discipleship] is the way of transition. For those who would arrive at the station of the new cycle, we provide answers and a formula. And there is no turning back. In those in whom selfishness has not marred the vision of the new day, there is the burning desire to be free and to make that freedom available to all. Such was the purpose of the Darjeeling Council in the founding of The Summit Lighthouse in Washington, D.C., in 1958. With humble beginnings yet with the torch of our trust passed from God and anchored in the heart of a band of devotees, we built our organization—an outer arm of the Great White Brotherhood, a forum for the will of God, a focus for the purity of its fiery core. The Great White Brotherhood is the order of ascended masters that has existed for thousands upon thousands of years, and it is the association of ascended masters and their embodied chelas. The term white refers to the white light of the aura in all of those who are its members. It is the crystallization of the Christ consciousness, the halo of the saints. It is not in any way a reference to race. Mark Prophet—and later his twin flame, Elizabeth—was trained by me to be a messenger for that hierarchy of adepts composed of all who have graduated from earth's schoolroom with honor. 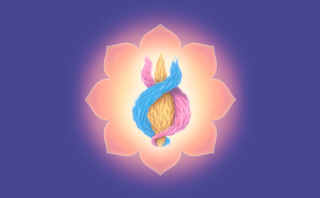 These are they who have mastered the laws of their own karma and by the pursuit of the Buddhic light have been thrust from the wheel of rebirth. These are the ascended ones whose souls have been lifted into the glory of the life universal and triumphant. By their striving on the way, by their excellence in self-discipline and by the grace of Christ, they are the overcomers. Does El Morya have anything to say about the way government is being handled today? 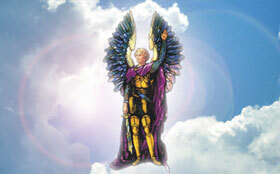 El Morya will work with and inspire all who are concerned with government. Of course he believes in government of the people, by the people and for the people, but he tells us that those who have the right to rule are those who have exalted the threefold flame in the heart. Those who have the greatest amount of attainment in the Christ consciousness are those who have the authority of the Christ. It is for the coming of the reign of the Prince of Peace that El Morya is preparing us. This reign he explains as the advent of the Second Coming of Jesus Christ, which is the kindling of our own self-awareness in that Christ and our oneness in service with Jesus. And, therefore, the reign of the Prince of Peace is the reign through the rule of those who have the light in the heart. No matter what their religion or following—they may be Buddhists, they may be Jews, they may be Muslims — it is their dedication to the light and the flame of God that gives them the ability to rule others who are working toward that same discipline. The ideal that you describe seems far removed from the reality that we know, Mrs. Prophet. Are there practical steps that can get us from here to there? The first step is always the establishing of the self within the altar of being, within the consciousness of God. Without God we can do nothing. As Jesus taught us: “I of mine own self can do nothing; it is the Father in me who doeth the work.” This work of God through us is the only way we can deliver our nation and every nation into the hand of God. The orphans of the Spirit are our concern—those who, without the thread of contact with Deity, remain wedded to an unwholesome environment, those to whom the real purpose of life is never revealed; for the crystallization of their intellectual concepts and the hardness of their hearts, rooted in selfishness, do not open the cosmic doorway to our domain. Morya and the Darjeeling Council provide us with the opportunity for conscious cooperation with the hosts of heaven so that we might lead our nation, our life, our community into God-dominion, into the true dominion of the sons and daughters of God. This is what the coming revolution in higher consciousness is all about. It sounds like they've got something in mind for all of us, right? That's right, and it is direct participation in higher consciousness that will truly revolutionize America and every nation!